Mother Nature is a master at composting, but there are still plenty of ways to help the process along and get your compost cooking faster without smelling up the neighborhood. Much of it comes down to the ratios of the ingredients used, but with all of the variables involved (moisture, temperature, nitrogen versus carbon content, time, etc.) 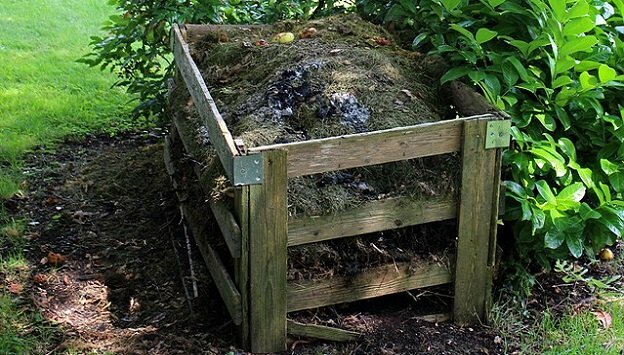 composting is really more of an art than a science. What works in a hot, arid climate won’t necessarily be as successful in areas with a lot of rainfall and humidity. Without paying attention to the details, it’s easy to end up with a smelly mess that your neighbors may not enjoy (although, given time, even this will eventually break down into usable compost). Below are 4 essentials that you need to get right in order to make great compost for the garden, while skipping over that “smelly mess” stage that plagues so many compost bins. Composting jocks will tell you, as they look condescendingly down their nose, that it’s possible to build a big fat compost pile and transform it into black gold in a few weeks. That is technically possible, though if speed is your goal be prepared to do lots of pile-turning and invest in fancy products. It should be noted, however, even once the pile transforms into a dark crumbly soil-like substance, it takes another six months to a year for it to “mature”—a second, less visible stage of decomposition when other organisms take over and further refine the compost into something truly alchemical for plants.